Congratulations on your new home! Here are some budgeting expenses to keep in mind as you settle in. Property taxes. Although you can write them off on your annual tax returns, you still need to be prepared to pay your local property taxes each year. Repairs and maintenance. 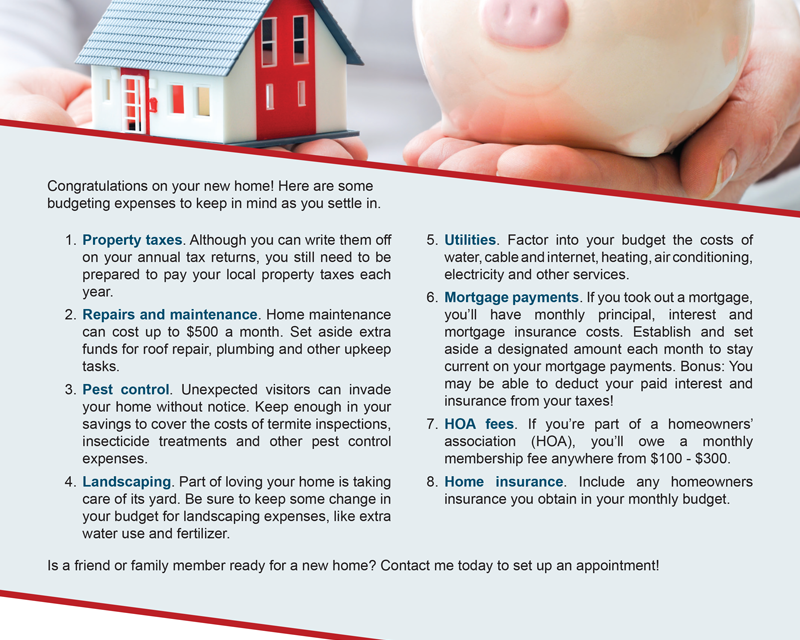 Home maintenance can cost up to $500 a month. 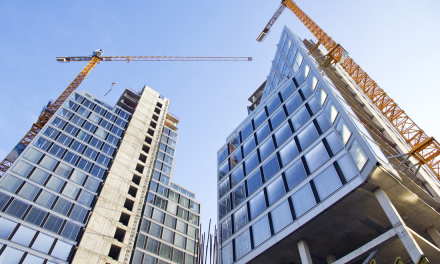 Set aside extra funds for roof repair, plumbing and other upkeep tasks. Pest control. Unexpected visitors can invade your home without notice. Keep enough in your savings to cover the costs of termite inspections, insecticide treatments and other pest control expenses. Landscaping. Part of loving your home is taking care of its yard. Be sure to keep some change in your budget for landscaping expenses, like extra water use and fertilizer. Utilities. Factor into your budget the costs of water, cable and internet, heating, air conditioning, electricity and other services. Mortgage payments. If you took out a mortgage, you’ll have monthly principal, interest and mortgage insurance costs. Establish and set aside a designated amount each month to stay current on your mortgage payments. Bonus: You may be able to deduct your paid interest and insurance from your taxes! HOA fees. If you’re part of a homeowners’ association (HOA), you’ll owe a monthly membership fee anywhere from $100 – $300. Home insurance. 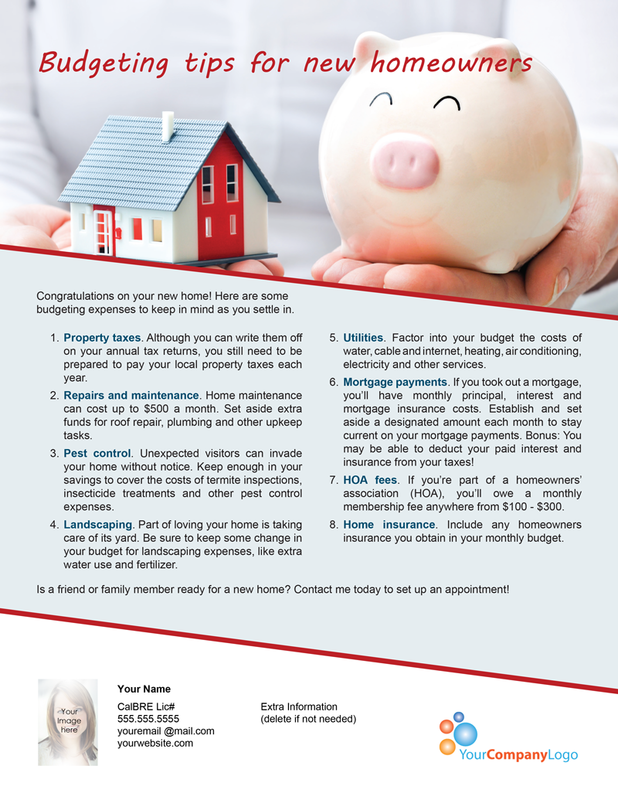 Include any homeowners insurance you obtain in your monthly budget. Is a friend or family member ready for a new home? Contact me today to set up an appointment!